I have collaborated in many projects, luckily always with nice, good, fun people and colleagues! In this section I will only detail the projects that I have led and some in which I had an important contribution. 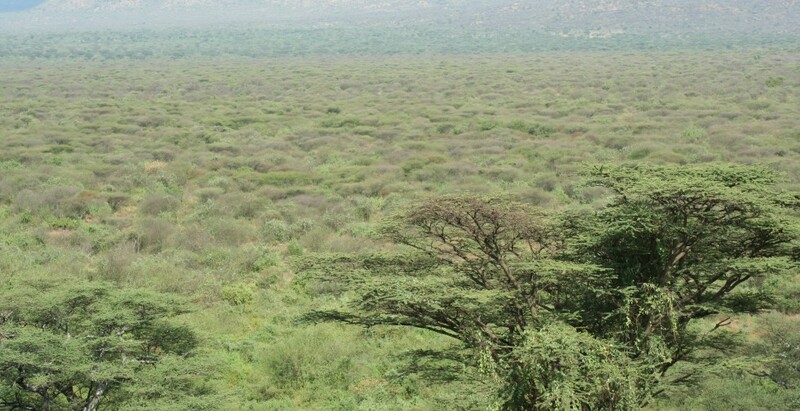 This project is a collaborative effort to answer a great question in East Africa: to what extent is the Afromontane forest a human-made landscape? The Afromontane plant communities form almost a relict landscape, appearing between 3000 and 4000 m asl at the Afromontane Archipielago across the African continent. To determine the drivers and processes of environmental change and quantify the respective impacts at the landscape scale including abiotic factors such as climatic change, geomorphological/geological processes, fires, as well as biotic factors such as landscape engineering animals and the anthropogenic impact in an Afromontane region. To determine the magnitude of anthropogenically induced long-term ecological and evolutionary changes both at a landscape level as well as on keystone plant and animal species and associated organisms at different trophic levels. H1: The Bale Mountains were suitable as a glacial (human) refuge. H2: The Bale Mountains’ afro-alpine ecosystem has been continuously shaped by human activity, possibly since the Middle Stone Age. H3: Early hunters and pastoralists have extended afro-alpine ecosystems using fire. To test all these we are using a multidisciplinary approach, including palaeoecology, palaeoclimatology and archaeology but also modern plant ecology and remote sensing. Stay tunned to News to get more in our fieldwork campaigns! This projects aims to reconstruct the post-fire response of some forest taxa since the Holocene onset in the Central Pyrenees, very sensitive to the fire activity compared to the Mediterranean Basin. In this project I tried to test the hypothesis of the human impact on fire regimes using palaeo record but also documented human activities, climate change record and vegetation response. We have reconstructed the fire and vegetation history of two sites and we are now in the process of publishing more results (Lasheras et al.,2013) where we have found a correlation on fire response to climate change on an altitude sequence (Basa de la Mora, 1913 masl) y La Laguna Grande de Estaña (700 masl Morellon et al, 2009). These two projects aimed to detangle the patterns and processes of vegetation changes in northeastern Iberia during the Late Pleistocene and Holocene. To accomplish this central goal, these projects have funded the extraction and high-resolution paleo proxy study of the lacustrine sedimentary record of El Cañizar de Villarquemado (Teruel), an extraordinarily long sequence up to 72 m thick embracing the last 135,000 years of environmental change.Villarquemado sequence would be one of the very few long continental records of Europe. (vi) to elucidate the role and interactions of fire, climate and human activities in the evolution of plant formations from Mediterranean Iberia. We are still in the process of publishing these results, but some sections of the record have already been published as the Lateglacial and Holocene record (Aranbarri et al., 2014) The Holocene history of Villarquemado proves the ecosystem to be very resilient but still sensitive to climate fluctuation, especially moisture. In the mosaic of pictures below you can see the location of the midden in Sierra de Guara. We suspect this is a midden formed by animals and shepherds during the Middle Age in a sheltered location. Midden was ca 1 m thick and pollen and charcoal are now being analysed.